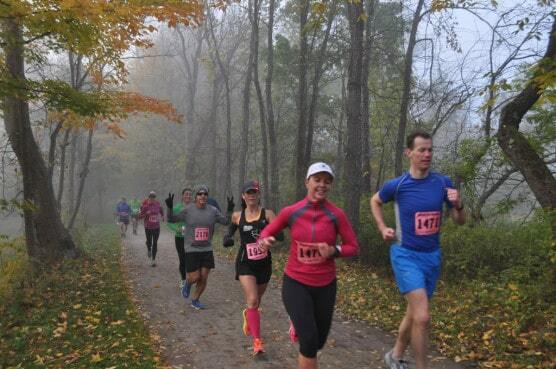 Named for the Native American word for “crooked river,” the 33,000-acre Cuyahoga Valley National Park just outside nearby Cleveland and Akron is the setting for the annual autumn running of the Towpath Marathon, Half Marathon & 10K, whose 13.1-mile race takes runners from the Brandywine Ski Resort just outside the park onto a winding tour of the valleys and wooded trails inside the park, as well as along the Cuyahoga River itself. The race was first run in 1992 to showcase the park’s then-new Towpath Trail, a combination paved and crushed limestone trail pathway that runs along what locals know as the Ohio Canal Corridor, a 110-mile stretch of recreational paths for bikers, hikers and walkers that will, when it is one day completed, all the way from Cleveland’s Flats at Canal Basin park all the way to New Philadelphia, in mid-state Ohio. It has since been named by Runner’s World magazine as one of the nation’s most beautiful race courses, and now attracts upwards of 2,000 runners and more than 3,000 spectators to the park for the event each year. 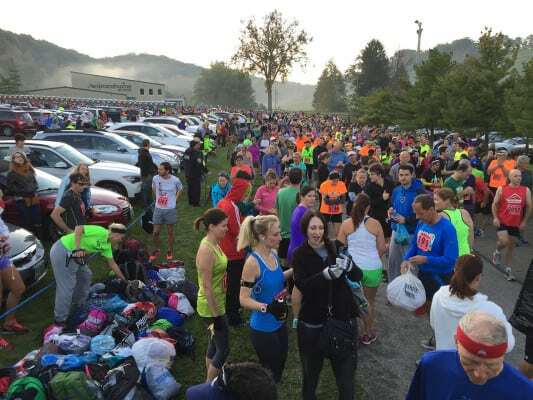 For the half-marathon, runners begin the race at Brandywine Mills Ski Resort in nearby Sagamore Hills, which lies just outside the park on its eastern boundary. From there, participants run westward along the ski resort driveway until they reach the trail entrance at Red Lock, and there they’ll turn right and head north onto the Towpath Trail, starting a stretch that will take them north all the way to the turnaround point, which lies past Station Road. Then they’ll head south, back all the way they’ve just run, all the way south to the finish line, which lies at Boston Store, near Boston Mills Road. Fast and flat throughout, the courses for both the half and the full marathon are described by race organizers as having no hills to speak of, really anywhere along the course. 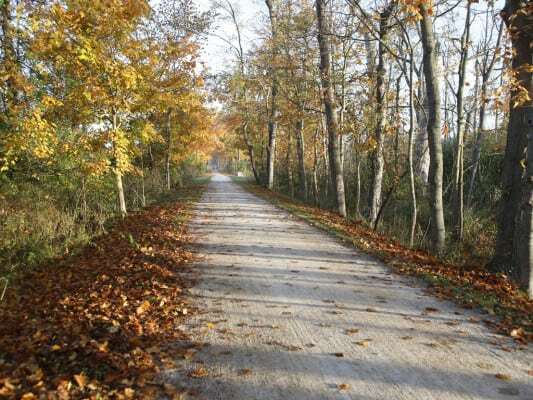 There’s lots of scenery along the way, from the slow-moving canal waters to wetlands you can see off in the distance, as well as plenty of trees and vegetation to shade and cool your run. The race is open to both runners and walkers, who will each have their own starting times — runners will start both the half and full marathons at 8:00 AM, while walkers are encouraged to take advantage of the special 7:00 AM starting time for walking. The course will be supported with aid stations for 6 hours, and transportation will be provided to shuttle participants back to their cars from the finish line at the Boston Store near the southern tip of the park. Nestled several miles south of nearby Cleveland and along the northern end of Cuyahoga Valley National Park, Sagamore Hills typically sees cool to mild weather in October, which has brought record temperatures here as low as 25 degrees (in 1988) and as high as 84 degrees (in 1971). 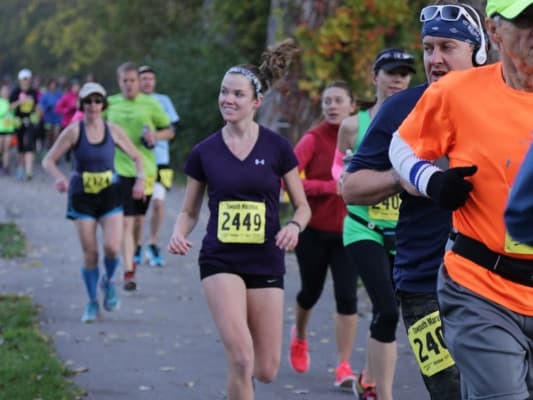 To reserve your spot in the 2019 running of Sagamore Hills’s Towpath Marathon, Half Marathon or 10K race, visit the event website here. 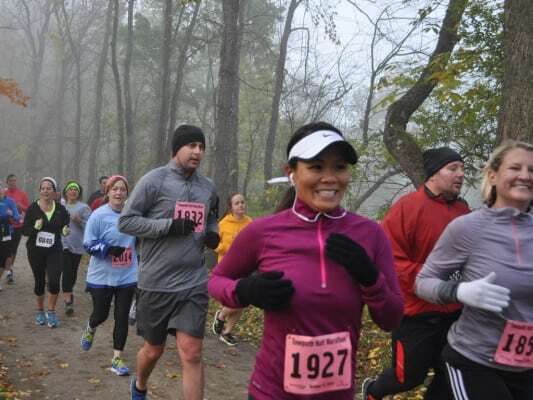 Ever run in the Towpath Half Marathon? Share your impressions here, or post your review in the Comments box below. Where is the best place to park? At Brandywine ski resort? Is the course for the half marathon walkers the same as the runners? If I am jog /walking the half should I register for the walking half that my friends are doing?